Considered by Cond?? Nast Traveler readers to be among the world? ?s best hotels, the Mokara Hotel and Spa is a first-class destination for luxurious and pampering San Antonio stays. The newly restored Fairmount Hotel marries a residential feel with stand-out service, all helping the historic lodge to win the top hotel award from Conde Nast's Traveler. 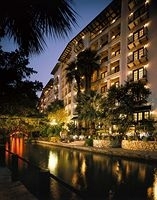 A Boutique Riverwalk Hotel at a Great Price. A historic, boutique hotel in San Antonio, the Riverwalk Plaza Hotel is just steps from where Davy Crockett took his last stand at the Alamo.